My morning ritual is pretty standard but very important to starting my day. It usually includes a quick yoga flow, face wash, teeth brushing, and - the most important and final step - coffee. Coffee is always necessary. I love tea, but it doesn't give me the kick to start my day that coffee does. One of my biggest problems with being vegan and commuting to work is there's never an option for a vegan creamer at my favorite coffee spots. Plant-based milk is everywhere now, which I love! But sometimes I want something sweeter than plain, old milk without the additional syrups. Recently, I discovered Coconut Cloud, a totally plant-based dried coconut creamer and instant latte food brand. Coconut Cloud has a variety of products that are 100% vegan friendly, but most importantly are easy to take with you! Like I mentioned above, sometimes I want a vegan creamer to add to my morning coffee. There's not always room in my work fridge for a full sized container or I just don't have the time to stop by the grocery store to pick some up. 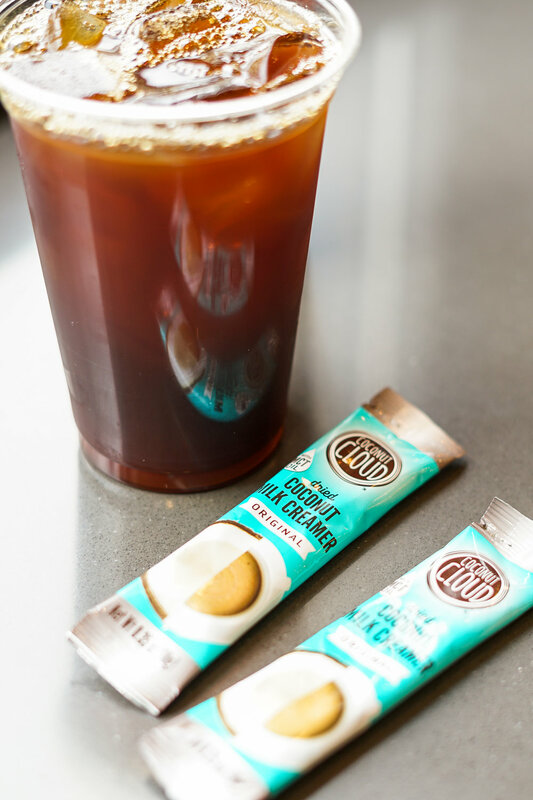 Coconut Cloud's On-the-Go creamer is a coffee game changer. Having a non-perishable travel size coffee creamer I can take anywhere with me is amazing. Now, I can enjoy my coffee without paying for a nondairy milk at the counter. I love to have this instead of coffee on mornings when I don't need the kick start that caffeine gives me but maybe something a little gentler. The flavor is the perfect amount of earthy and sweet for a calm morning start. Another great part about Coconut Cloud's products are they have a nearly endless shelf life. Refrigerated creamers of course have an expiration date - even the nondairy ones. But powdered coffee creamers and mixes don't need to be refrigerated to stay fresh. I keep at least two to-go creamer packets in my purse at all times plus a full size container in my desk. Working in a small office with only a beverage fridge means limited space so it's nice having the option to keep things in my desk. 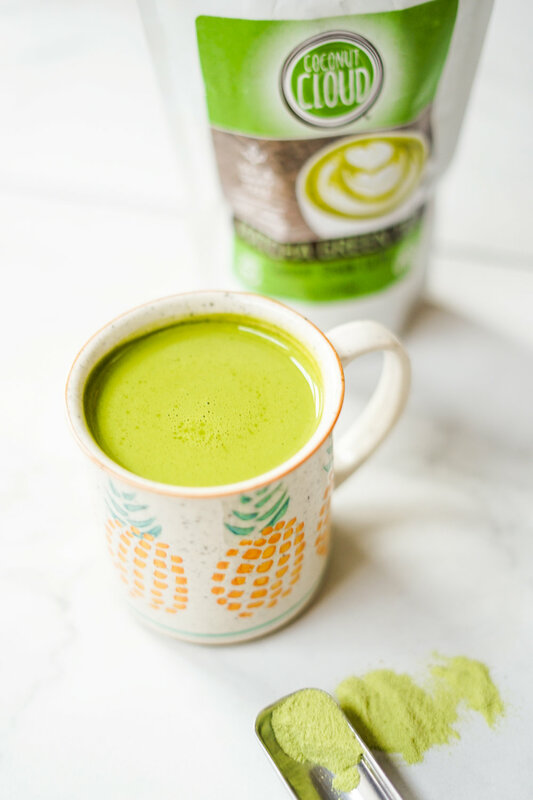 If you're looking for a delicious and affordable plant-based creamer with long lasting freshness, definitely give Coconut Cloud a try! They have a variety of products (a Spiced Turmeric Ginger Anti Inflammatory Elixir that I can't wait to try!) from creamers to latte mixes!